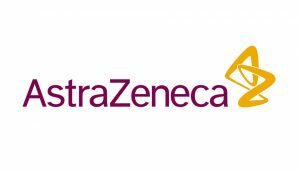 AstraZeneca have announced a dip of 15% for their Q3 sales, mainly as a result of the loss of exclusivity on several key brands, and costs relating to the disposal of their former Astra Tech and Aptium Oncology units. The Anglo-Swedish organisation’s revenue fell to $6.8 million in comparison to quarter 3 in 2011. Antipsychotic Seroquel IR was a key factor in the revenue slide, tumbling 83% to $169 million as generic copies swamped the market. Diabetes drug Onglyza increased by 42% to $84 million whilst their lung drug Symbicort was up 11% to $785 million. Sales of their leading selling drug Crestor, to help reduce cholesterol levels, dropped 3% $1.5 billion. AstraZeneca performed best in emerging markets, where its revenue grew by 6% at constant exchange rates. The company received 23% revenue growth in China and Russia in the third quarter. However, US revenues were down 19%, due to the loss of exclusivity for Seroquel IR. The adverse effect of the American healthcare reform also hurt the business, removing roughly $150 million from their revenue stream. The organisation did see an extra $44 million in new revenue, however, from the acknowledgement of the company’s share of the Amylin diabetes portfolio, a deal which began to pay out for the company in August. Revenue in Western Europe fell 20% as a result of the patent expiration on four key products: Seroquel IR, blood pressure medicine Atacand, acid reflux drug Nexium and infection treatment Merrem – all of which accounted for 70% of the revenue drop, with a tough economic climate making up for the remainder. “Since joining AstraZeneca, I’ve been deeply impressed by the commitment, talent and passion of our people and by their determination to deliver against our targets. As I take up my new role as chief executive, my priority is to restore the company to growth and scientific leadership,” Soriot added.